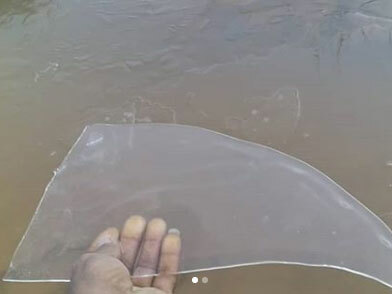 The UAE met office attributed frozen water as "not an unusual phenomenon"
Dubai: A viral video trending on UAE social networking sites has captured the inquisitive minds of residents after footage showed sheets of ice on a wadi in Ras Al Khaimah. Residents posted the video of their unusual findings on Thursday morning as an exceptionally chilly front affected the country, with the National Centre of Meteorology (NCM) weather station recording a temperature of 4 °C in Jebel Jais. 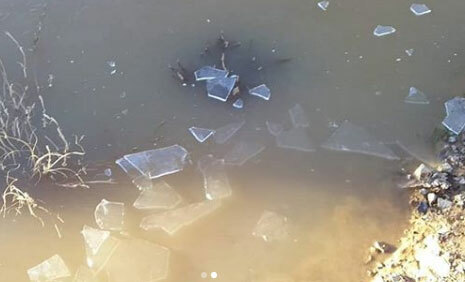 Dr Ahmad Habib, senior weather forecaster at the NCM, told Gulf News that this type of occurrence is not unusual and can happen sometimes in the winter season, usually at the end of January and the beginning of February. “The first two months of the year is when temperatures drop the most, especially late at night and in the early morning,” said Habib. “This occurrence was not limited to Ras Al Khaimah. The weather was also very low on Wednesday night and Thursday morning in Raknah, near Al Ain, which reached 2-3 °C. So when the water partially freezes, it is because the temperature is very close to zero”.